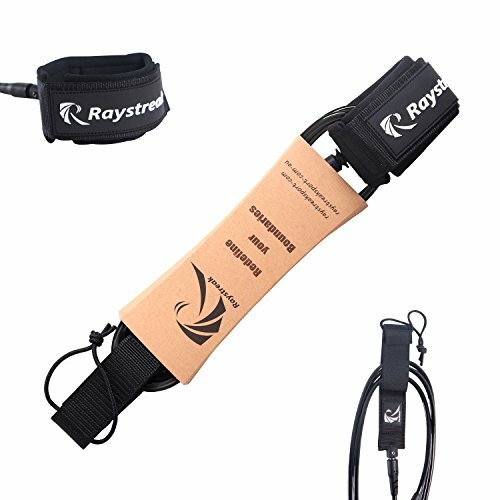 RAYSTREAK Surfboard 6ft Leash 7mm Premium Straight Leash with Double Stainless Steel Swivels and Triple Rail Saver by RAYSTREAK at Kerinci. MPN: RS16SL0601BK. Hurry! Limited time offer. Offer valid only while supplies last. About Raystreak Company Raystreak Sport is dedicated to offering the most comfortable and durable foam surfboards and paddle boards for all surfers. If you have any questions about this product by RAYSTREAK, contact us by completing and submitting the form below. If you are looking for a specif part number, please include it with your message.